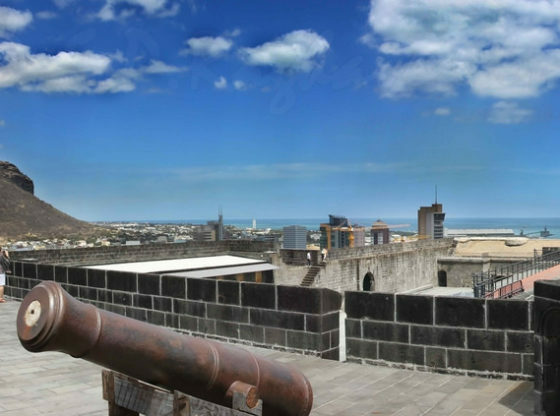 Situated at a height of 100 meters atop the hill of Petite Montagne is a fort called Citadel also known as Fort Adelaide named after the wife of William II when British owned the land in Port Louis. The fort is located at a prominent place that enables you to have a look at the harbor as well as the whole city of Port Louis. The magnificent Fort was built in the 19th century, designed by Colonel Cunningham. Built with an intention of providing security to the British Army from the approaching enemy, many Indian and African slaves had put in their full hearted effort to construct the amazing Fort. The building is made up of rough yet huge rectangular blocks that have changed into grayish black color with the passage of time. Being made in Moorish style with horse shoe arches, it possessed quarters for the army water gallons and powder reserves. An underground tunnel was made to lead army swiftly directly to the harbor whenever the enemies attacked. The Fort was one of the four forts built for the purpose of defending the army from the attackers and safeguards the destructions unlike the other three forts like Fort William, Fort George, and Fort Victoria. Now the fort has been retained as a National Monument that will mesmerize you with its charming surroundings like Caudan Water front, State Bank of India, Bank of Mauritius, The vast endless ocean, harbor and Port Louis Moka Ranges. Tourists are attracted towards this place for its majestic views. The fort has been extensively repaired and painted and it serves as a platform for concerts and plays as well. The resort can be reached within ten minutes’ walk up the hill or by a vehicle through well-constructed roads. It is a superb place to watch the sunset. A cultivation plan is also in progress near Citadel where one hectare of land will be cultivated with local native trees like Round Island, Hurricane Palm, Velvet leaf of Soldier Bush, Bois de Pipe. This is not a picture of Fort Adelaide (The Citadel) in Port Louis, Mauritius! Thanks for informing us about the incorrect picture, we have updated it.